Open daily for lunch and dinner, The Ugly Mug serves top-quality classic American favorites like Mini Cheeseburgers and Brick Oven Pizzas. 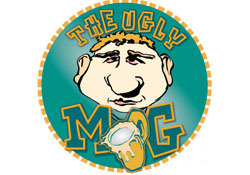 With its casual atmosphere, great food and 24 beers on tap, The Ugly Mug is just the place to relax and unwind. You can do it all watch your favorite sporting event, visit with old friends and meet new ones. Also, we're located only 10 blocks from the new Nationals Stadium which makes an easy getaway after the game from the metro crowd. The Ugly Mug is where to come on Capitol Hill to have a good time! 12/09/2011 Where to Spend New Year's Eve in D.C.